In the age of globalization, organizations all over the world are giving more significance to strategy and planning to get an edge in the competition. 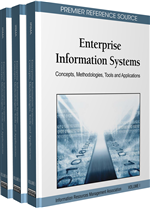 This chapter discusses the Enterprise Resurce Planning (ERP) systems effects and strategic perspectives in organizations. These are significant how information technology and ERP together facilitate in aligning the business in such a way so that it should lead to excellent productivity. It further explores in what ways effects of ERP system in organizations can provide sustained competitive advantage.